Loving You More… In the Spirit of Etta James will feature Leela’s distinctive versions of songs previously done by Etta James as well as a couple of originals inspired by the iconic singer. The album will include both signature Etta James songs like “I’d Rather Go Blind,” “Something’s Got A Hold Of Me” and “At Last,” and more obscure compositions like “It Hurts So Much,” “I Never Meant To Love Him” and “I Want To Ta Ta You Baby.” Loving You More…In the Spirit of Etta James will be produced in Nashville by Grammy-winning producers Shannon Sanders and Drew Ramsey, who together and separately have produced hits for India. Arie, John Legend, Jonny Lang, Heather Headley and Anthony David, among others. Look for a track to be released to the internet by April and for the full album as early as June. “We had just concluded a deal to do a new album with Leela,” says Shanachie General Manager Randall Grass. “The idea was to do mostly original material and I had thought it would be great if Leela covered an Etta James tune called “All The Way Down.” Then Etta James passed away and Shanachie VP of Publicity Monifa Brown suggested that it would be great if Leela did an album in tribute to Etta. 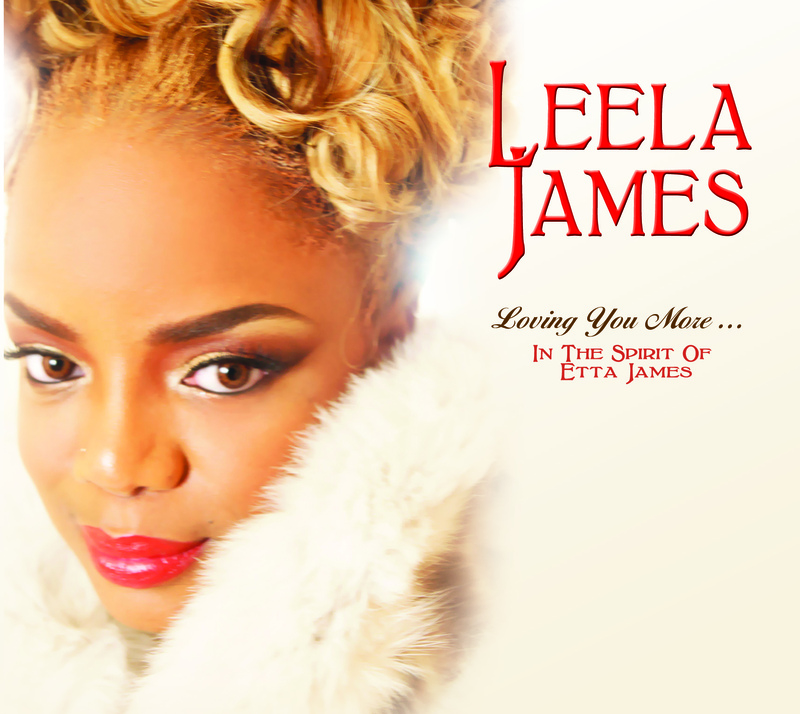 Leela loved the idea and the project evolved into doing the album Loving You More…In the Spirit of Etta James. Having collaborated with everyone from Ray Charles and BB King to Kanye West and John Legend, Leela James, like Etta James, was born in Los Angeles. Gospel music was a natural part of Leela’s church-going childhood as was the blues, funk and R & B that she heard in her home, thanks to her father’s vast record collection. Her performances on the indie live circuit as well as her appearance on hip hop legend Pete Rock’s Soul Survivor II album and stints as opening act on national tours by The Black Eyed Peas and Macy Gray generated a tremendous grassroots buzz. So while her critically acclaimed debut album, A Change Is Gonna Come, seemed to come out of nowhere, to those in the know, it was one of the most anticipated albums of the year. With production by Kanye West, Raphael Saadiq, Wyclef Jean, James Poyser and Chucky Thompson, and Executive Produced by Commissioner Gordon, A Change Is Gonna Come boasted a striking slate of original songs co-written by Leela as well as impressive interpretations of Sam Cooke’s “A Change Is Gonna Come” and No Doubt’s “Don’t Speak” and bits of acoustic blues. Dubbing the raw, soulful sound of her music “back porch soul,” Leela was immediately compared to such luminaries as Gladys Knight, Aretha Franklin, Chaka Khan and Mahalia Jackson. “Music,” the first single from the album, hit the Adult Urban Contemporary charts. VH-1 embraced Leela as their first “You Oughta Know” artist and played her videos in heavy rotation. The tremendous momentum that followed the release of A Change Is Gonna Come afforded Leela James the opportunity to tour relentlessly for three consecutive years, playing virtually every prestigious festival on the international circuit. She even appeared at the Montreux Jazz Festival twice and on one of those occasions, was handpicked to open for BB King during his “Farewell Tour.” The legendary bluesman even invited the young chanteuse onstage to perform alongside him!